Summer bearing red raspberry plants can turn your backyard into a delightful snacking area during the warm months. These productive brambles produce luscious summer berry crops year after year if you prune them correctly. When do you prune summer bearing raspberries? 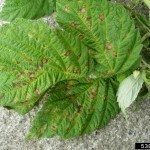 How to prune summer raspberry bushes? Read on for all the information you need. It’s easier to remember the rules for when and how to prune summer raspberry bushes if you understand how they grow. The root systems on summer bearing red raspberry bushes live for many years and send up shoots each year. The shoots grow to full height the first year, then produce those sweet red berries the following summer. They die after fruiting. When Do You Prune Summer Bearing Raspberries? The rules for pruning summer fruiting raspberries are not complex. Once the shoots fruit, they die, so you can cut them down immediately after harvest. However, summer bearing raspberry pruning is complicated by the fact that even as second year canes are fruiting, new canes are growing in. 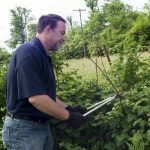 The trick to pruning summer fruiting raspberries is to distinguish between the two and trim each type of cane appropriately. It is easiest to distinguish the second year canes during harvest. All summer bearing shoots with berries are second year shoots and should be pruned out, at ground level, after harvest. However, you also need to thin the first year canes if you want to have a good crop. 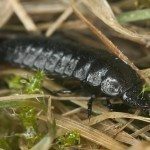 Do this during the end of dormancy, in late winter or early spring. When you are pruning summer fruiting raspberries’ first year canes, remove the smallest and weakest ones first. Only leave one plant every four to six inches. The next step is shortening the remaining canes. Remember that the top of the shoot has the most fruit buds, so only trim off the very tip. The canes will be about five or six feet tall when you are done. You’ll get more berries if you also prune out the first wave of new canes in the spring. Prune these out when they are about six inches tall.